Hey, I'm John. @ Hey, I'm John. This fall, the MFA Design & Technology faculty have introduced the concept of “design values” to the toolkit we use with our students. One thing that became clear as we rolled out this addition to our Thesis Studio cycle: we hadn’t fully explained the purpose, use and strength of design values as a concept. This essay is an attempt to better convey the intent and use of design values. Most simply stated, design values are the qualities and characteristics you want to embody in your work. This can reflect your own goals as a creator, but also the experience you want your audience to have. Colleen Macklin and I borrow the tool from Eric Zimmerman, who originally used the term “play values” as part of the game design process. Related is Mary Flanagan and Helen Nissenbaum’s “Values at Play” project. Where Eric’s use of play values focuses on the aesthetics of a work, Mary and Helen’s draws attention to the political, cultural and ethical values implicitly and/or intentionally in a work. For our purposes inside MFADT, we draw upon both conceptions, and seek to generalize them from their origins in games and play to a wider range of creative work. Our goal in using design values is to serve as a set of handles for students, faculty and critics alike to understand a student’s intentions with their project. If a student wants their project to, say, create Rhianna videos through creative computation and machine learning, then she will need to help the MFADT community understand how to evaluate the success and failure of her videos. If a student wants to create a social practice project that uses needlepoint to explore the subtle, sometimes deadly pervasiveness of chemical pollution in the environment, then she needs to make clear what connects the materials, technique, subject and process of the project. If a student wants to connect western youth to aspects of ancient Chinese culture through a strategy boardgame, he will need to identify the what, why and how of this intention. In all these cases, design values are useful for focusing attention of the creator and their community of practice in ways that help keep the feedback focused and the project on track. The best way to show how they can operate is through examples: one from past students of mine, one from a book Colleen Macklin and I are working on, and one from a Local No. 12 project. Back in 2011, the animator Matthew Maloney and I worked with a group of students at SCAD-Atlanta to create a project for the then-new Hong Kong campus. We found out about the project only a month or so before we had to take a group of students from Atlanta to Hong Kong to develop the project. The only things we knew going into the project were that it would be in a public space in the new Hong Kong campus (which none of us had seen before), it would use a low-fi reactive table one of the students had developed, and it would be a game. After assembling a student team, we began holding planning sessions where the students pitched ideas for projects suitable for the table. More generally, the team honed in on the characteristics we all wanted to embed in the project. In other words, our design values. The first design value established that the students needed to find a game concept that took advantage of the unique qualities of a 4 foot by 6 foot reactive table. Further, the game needed to serve as more than just a tech demo of what the table could do. Given that the project would be on a largish table that people looked down on, we wanted to avoid the then-predictable project trope of treating the table like a window into an aquarium or terrarium. So we wanted a premise that made sense viewed from above, but wasn’t just a simulation of a fish tank. We also rolled into this one a reminder that we should be culturally sensitive about being a group of mostly Western artists and designers coming into another culture. The students wanted the table to leave an immediate impact on players and spectators alike, but also leave a lasting impression upon them when they walked away. Because the game was going to be encountered by people in a public space that sometimes held school events, and sometimes was just a lobby, the students felt it was important that the game had an easy “pick up and play” quality. They also recognized that most people wouldn’t spend too much time with the game given its context, and so two minutes was the agreed upon ideal play session. The students wanted to keep the game’s interaction model and core mechanics simple and easy to understand and learn, with depth and subtlety emerging as the play experience unfolded. The students wanted a game that could work with only one player, but that would be more enjoyable with two, three or four. This in part came from the context, where sometimes only one person may be in the space, while other times it could be filled with people. The design values for Black Bottom Parade more closely adhere to Eric Zimmerman’s take on play values. They are primarily concerned with the form, medium and experience of the game. From these six design values, the group had a shared understanding of the game they would make once we arrived in Hong Kong. We used these to work through dozens of game ideas, eventually landing on the premise of a group of deceased New Orleans musicians on a floating platform that the players had to keep aloft by directing the band leader, who had a “pied piper” status amongst the other musicians. The design values all evolved as we went, with one or two of them dropping out as the process unfolded. But throughout the three weeks the students worked on the game, we kept the design values up on the wall in our workspace to keep us on track. The resulting game turned out well, garnering recognition as an IndieCade 2011 finalist. For the last couple of years, Colleen Macklin and I have been turning our approach to teaching game design into a textbook. A number of design values guide our writing. Early in the writing, we adopted the “play machines” metaphor to help us think about game design as play design. For us, this meant thinking about the aesthetic and cultural value of the play produced by games rather than thinking about games as commercial media products. Colleen and I both have more interest in expanding notions of games and play. And so almost all the examples in the book are drawn from indie games and altgames, as this is where the more interesting work is happening. We also wanted to showcase games by a more diverse group of gamemakers, which led us to be mindful of using games by women, people of color and LGBTQ-identifying gamemakers as examples. We want the book to be useful to someone creating competitive local multiplayer games and someone crafting story-driven autobiographical text games. This means we need to find ways to talk about sometimes conflicting approaches to games in a way that is supportive and illustrative while recognizing that not everyone approaches the medium of games with the same intentions. One of the guiding ideas for the project is creating a book that will get further into the details of iterative game design processes that usually only come out after having gone through the process a couple of times. So we are working to provide a finer-grain look at some of the important considerations and processes of iterative design. These four design values illustrate Flanagan and Nissenbaum’s “Values at Play” approach. Colleen and I feel strongly about making sure this book is inclusive and shows the incredible range of possibilities of games and play. We fully understand the political and ethical territory around games, and want to make the book something that will help broaden the medium while also showing the depth of the iterative game design methodology. A final example is Local No. 12’s party cardgame, The Metagame. After the success of the artist’s project, “The Metagame: Culture Edition” we created for Esopus magazine, we decided we wanted to do a commercial version of the game. Four design values guided our work. A trend over the last four or five years for party card games is focusing on particular tones and kinds of humor, with ribald and off-color humor being the most prevalent. We wanted to create a card game that allowed the players to decide the tone for themselves. So we focused on creating “tone-neutral” content that could be played for laughs, as a more intellectual or philosophical experience, or, if the players preferred, as an excuse to make fart jokes. This played out mostly in writing and playtesting the opinion cards. Through conversation with our illustrator, we latched onto the idea of those illustrations you might find in a dictionary to illustrate a concept. We thought this approach to the images and descriptions of objects would allow players to make the game their own. In working on the culture cards, we wanted to make the sometimes obscure items on the cards as accessible as possible. We strove to use illustrations and descriptions to help people understand the items they didn’t know while not giving away too much. Though the original version of the The Metagame was a single game, we decided we wanted the deck to support a variety of play experiences, not unlike a traditional deck of playing cards. And so from the beginning of the process, we focused on developing a range of play experiences that allowed conversation and debate in some cases, but in others simple acts of comparison, attempts to guess what other players were thinking, and all sorts of other experiences. These four design values were in the forefront of our minds as we created the game. They also remain a focus as we develop expansions and new games to play with the deck. The Metagame has a mix of both the aesthetic-focused play values and the more critical values of Flanagan and Nissenbaum. We wanted to make a game that didn’t generate culturally insensitive play experiences by default, and that could allow strong personalities and the more shy amongst us to have an enjoyable experience. These three examples hopefully show the ways in which design values can support a range of project types and goals. The most important thing about design values is their role in creating shared understanding of what the project’s creator(s) are striving for so that the creator and their community of practice can help keep the project on track. Here’s some prompts for developing design values for a project, modified from Colleen and I’s forthcoming game design textbook, Games, Design and Play. What is the piece about? How does the the piece present this to the audience? Through a story? Metaphor? Model of a larger system? What concepts, perspectives or experiences might the player encounter during play? How are these delivered? Through story? Systems modeling? Metaphor? What does the user see? Through what kind of perspective? From what cultural reference point or political position? If the piece is meant to provoke or challenge: Is it critical? Speculative? Pushing the boundaries of form? If it’s something meant to accomplish a goal and solve a challenge: What kind of challenges does the piece resolve? Mental challenge? Physical challenge? How is the piece and the information within it represented? What visual and aural styles will be used? Why? How and where do users make decisions? How are decisions presented? Is the information space perfect or imperfect? Who is the audience? Where are they encountering the piece and how did they find out about it? When are they interacting with it? Why are they interacting with it? What emotions are you hoping to generate in your audience? Over the last six years, I have volunteered as the conference co-chair for the IndieCade International Festival of Independent Games. For those unfamiliar with IndieCade, it is a festival that brings together gamemakers, critics, companies and the general public for a weekend celebrating independent games. A rotating cast of co-chairs and I have put together the what used to be called the “professional conference,” now known as “think:indie” (the talks and panels at the Ivy Substation and the Foshay Lodge). Part of IndieCade’s mission is to bring more diversity to games—both in terms of the play experiences, but also those making the games. With this mission in mind, my co-chairs and I have worked hard to diversify the speaker pool. We’ve done a pretty good job of it, too: this year we have roughly a 3:2 ratio of women to men, approximately 25% people of color, and an even larger percentage of LGBTQ-identifying speakers. We’re nowhere near perfect on the inclusivity and diversity front, but we’ve done better than most, at least on the surface. Implicit in my work with IndieCade was a belief that conferences—the talks, the panels and the interstitial moments of community—are vehicles for change. Looking back at the last six years, I no longer believe this is a meaningful way to sustainably support marginalized communities. And so I’ve made the decision to step down from my conference co-chair role, making the 2015 IndieCade conference my last in this capacity. I’d like to share some of my thinking on the intersections of diversity initiatives and conferences that informed this decision. Within academia, conferences are central to the “publish or perish” existence, particularly the conferences hosted by the discipline-based professional organizations like the Digital Games Research Association (DiGRA) or the Association for Computing Machinery’s SIGGRAPH (Special Interest Group: GRAPHics). DiGRA and SIGGRAPH operate under a cooperative model where its members volunteer to organize the conferences as a way of sharing responsibility for a platform that benefits the field and individual careers alike. These conferences are either part of an established (SIGGRAPH) field or a growing disciplinary infrastructure (in the case of DiGRA) that helps sustain game studies, train gamemakers and allow basic research into the medium of games. Conferences are so deeply engrained in many of us academics that I couldn’t help but assume they were a workable model for my communities outside academia. For me, a big motivation for volunteering my time to co-chair the IndieCade conference has been giving marginalized voices a platform to share their work. Events like IndieCade and GDC’s diversity track give these developers and critics a platform to share their work, but I fear these events are not providing sustainable, long-term benefit to those outside academia and game development companies. Asking someone to speak at an event is asking for a lot more than just the hour of time on stage. There are the opportunity costs of setting aside work in order to prepare a talk, and of course the financial outlay to travel, find lodging and purchase food. Within academia, it is assumed that speakers will cover their own travel expenses and conference admission, sometimes with the support of grants, university funding and similar resources. But within marginalized communities of gamemakers, outside the academic and game development ecosystems, it is unfair to assume everyone can afford to take on the opportunity costs and financial burden of attending a conference. Even with the free conference pass given to most speakers, travel, lodging and food can easily eat up $1,000 or more for a weekend event. Over the last couple of years, IndieCade has made efforts to provide some financial assistance to conference speakers who need it, but it has been a token gesture at best, as we’ve only been able to cover a portion of the speaker expenses relating to travel, lodging and meals. I’m proud that we have made this effort, and applaud that IndieCade supported my co-chairs and I in trying, but it just hasn’t been enough. Creativity competition reality shows like Project Runway keep popping into my mind as I’ve mulled all this over. Up-and-coming designers vie for an opportunity to compete for a “once in a lifetime” opportunity to showcase their work, and if they are lucky, gain the title of Project Runway winner. On a recent episode, Tim Gunn was consoling that episode’s loser by telling her “we’d hear from her again.” I started thinking back to previous contestants and winners from seasons past—had I ever heard from any of them again? A couple of previous competitors have ended up on other reality shows and Project Runway spinoffs, but I can’t think of any that have become well-known, established designers. This shouldn’t come as a surprise. Nothing about Project Runway was designed to help the fashion designers establish a sustainable career. Instead, these programs exploit the designers for the purposes of television ratings and advertising revenue. And so when the season is over, the designers are often no better off than they were before appearing on the show. I’ve come to see developer-focused conferences in a similar light. Yes, these conferences have been part of making some gamemakers and critics “conference famous,” but beyond that, what are we doing to support them? By inviting a developer or critic to speak, are we doing them a favor? Or are we doing the organizations or ourselves a favor? I’ve come to see sustainability as the most pressing issue for keeping the margins of indie games from fraying and leaving people more disenfranchised than they were before entering our communities. I’m not sure how this problem is solved, but I am increasing certain that developer-focused conferences can mask the real problems. This weekend was amazing, seeing such an incredible range of gamemakers all in one place, catching up with friends, getting inspired by the talks and games. Each year’s gamemakers is more diverse than the previous. It is hard not to feel connected and part of something important. But this can create a false sense of infrastructure. Yes, we have community, but we’ll all soon return to our daily lives. Academic conferences operate within the larger ecosystem of higher education, from which we can return to our jobs as faculty or our studies as graduate students. But gamemakers outside academia and game companies leave Culver City to return to… what, exactly? There simply isn’t an infrastructure there to provide a basic, sustainable quality of life. So if conferences aren’t part of the sustainability solution, what is? I’m honestly not sure, but I have seen a few examples that may point the way. One thing IndieCade has done well over the last few years is create programming within the festival that fosters marginalized and up-and-coming developers. Two initiatives stand out. First is Intel’s “gaming for everyone” that brought many of the organizations working with marginalized game making communities to Culver City for the weekend. It was a truly inclusive space that gave exposure to these organizations. I hope Intel continues this, and broadens to other gamemaker events. The second example is the indieXchange, a free event open to anyone who has submitted a game to IndieCade that year. Developers attend sessions on project management, design, marketing, business and legal. IndieXchange also provides access to publishers of indie-friendly channels. For those with an indie-as-small business mindset, indieXchange is a great opportunity. But this isn’t always a realistic or desired opportunity for many in marginalized communities; or if you feel strongly that you should give your games away; or if you are creating work that doesn’t fit the digital distribution models of Steam, Sony, Microsoft, Apple and Google; or if you are dealing with subject matter, themes or play styles that don’t lend themselves to broad audiences. I think there are opportunities to provide similar programming for those approaching games in ways closer to art or poetry than small business development. In New York City where I live, there are two organizations doing this for artists that we can learn from—the Lower Manhattan Cultural Council (LMCC) and Creative Capital. LMCC runs a series of free or low-cost workshops to help artists—think poets, performance artists and experimental musicians—manage the particulars of careers based on producing work that doesn’t naturally fit within supply-and-demand marketplaces. LMCC workshops and programs cover everything from financial literacy to career planning to grant writing. These are essential skills for artists—knowing how to mange your finances and create a sustainable existence for oneself; learning how to establish goals for one’s career; understanding how to apply for funding to support the creation of your work. Developing similar programs for gamemakers operating outside the traditional production and distribution infrastructures is essential to creating an inclusive and diverse community. Helping artists better manage their careers is important, but so is providing them opportunities to create their work. Creative Capital is a great model for this. They are more or less a venture capital fund for artists. Artists apply with projects that need financial support to be realized. Should the project ever make a profit, a percentage of the money returns to Creative Capital to continue supporting other artists. This is kind of like the Indie Fund, but without the expectation that the work will ever turn a profit. This sort of private sector support is essential to help those on the margins of games have the opportunity to make work. Fellowships and residencies are a third method for supporting gamemakers that we can learn from. Organizations like LMCC and Eyebeam provide artists a space to work, access to resources and a community, and in some cases, stipends. These can be win-win programs, as the artists can create their work, and the organization and its community get to learn from the artist in turn. Outside arts organizations, universities and corporations also run artist in residence programs. Facebook, for example, has a residency program. The catalyst for all these artist support initiatives is funding. We are starting to see some government support for games as an artform, but for things to happen, we need individuals and companies to get involved. For companies to really help in this area means doing more than simply sponsoring conferences. It means recognizing the importance of creating an infrastructure to support the medium and not just the commerce. We need non-profit foundations that see the importance of supporting games along the margins—not to help turn them into developers of saleable games, but to allow them to make games from the messy, fragile lens of art. Intel’s $300 million diversity initiative has unparalleled potential to help with this; I hope they continue and set an example for other companies. On a smaller scale, there is NYU Game Center’s annual No Quarter exhibition that commissions games from four gamemakers. And there is IndieCade’s submission scholarships, which allow developers to apply for fee waivers when submitting their games to the competition. These efforts all matter, big and small, and we need more of them. So while I’m no longer helping IndieCade organize and run its conference, I do plan to continue looking for ways to create a space for sustaining a diverse and inclusive community for game making. Perhaps this can happen through the IndieCade Foundation, maybe it will be through partnering with an existing arts organization. If you have ideas about how to make this happen, or you have the resources to help make this happen, let’s talk and see what we can do. Even better, start something on your own. The more people working to create ways to sustain the margins of games, the better. Stepping down as co-chair of IndieCade is bittersweet for me. I want to thank Stephanie, Sam and Celia for giving me the opportunity to help shape the conference portion of IndieCade. I’ve personally gained a good deal as an IndieCade volunteer—met hundreds of developers, learned from the diverse range of games and play experiences discussed in the conference and exhibited within the festival, gained exposure for myself as a gamemaker and speaker, and so on. Finally, I want to thank all the gamemakers and critics who have joined us on stage over the last six years. It took me a while, but I now realize how much we asked of you. I hope you gained half as much from the experience as we did. If we believe its developers, the game, SUNBURN! 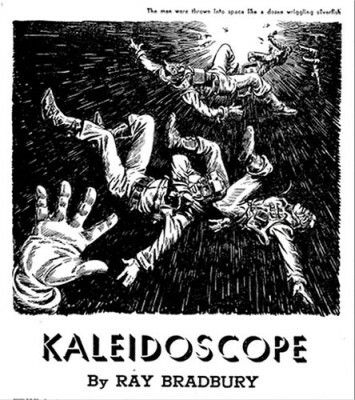 is an ode to the Ray Bradbury short story, “Kaleidoscope,” that first appeared in The Illustrated Man in 1951. Bradbury’s story opens in the moments just after a ship explodes in space, hurtling its passengers on divergent paths into the abyss. Everyone is left to contemplate their solitary death as they chat on their space radios, heading off to their deaths. They fight, lash out, weep, scream, reflect and generally contemplate their lives. Eventually, some of them come to reluctantly accept their fate. SUNBURN! takes this basic premise and twists it around a bit. Instead of everyone drifting off alone and bickering into their headsets, SUNBURN! asks you to kill off your crew in order to uphold the death pact you all made—no one dies alone!. 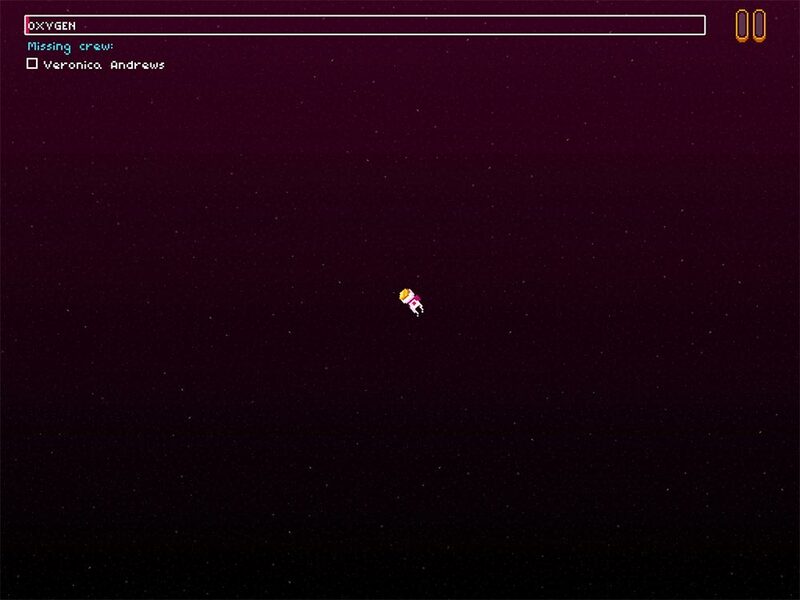 All of this happens inside a physics-y puzzle game involving tiny little pixel characters lost in space. As I thought about the game, I’ve tried to sort through why it resonates with me. I’m not always the biggest fan of SCI-FI, with all the space marines and BFGs and all, but there is something fascinating about the genre, particularly the mid-20th century era in which Bradbury wrote The Illustrated Man. Science fiction was pulp, a genre-bound pop form of mythological explorations of philosophical and political concerns—humanist thought wrapped up in gadgets and costumes. Science fiction was a place where things like the meaning of life and the solitary nature of death could be wrestled with. I saw glimmers of this in SUNBURN! before I learned of its connection to Bradbury’s story—life, death, community, meaning, honor, values, bonds. SUNBURN! hits a nostalgia note for me, but not how you might think. I’m not a child of the NES or Gameboy or any part of the 8-bit and 16-bit eras, so it isn’t that. For me, SUNBURN! reminds me of Eugene Ionesco’s absurdist plays from the 1950s and 60s. Ionesco was a master at creating bittersweet humor from mundane situations turned in on themselves. Situations like a place where everyone turns into rhinoceros, or people have conversations about doorbells rung by no one, or rooms that inexplicably fill with furniture. 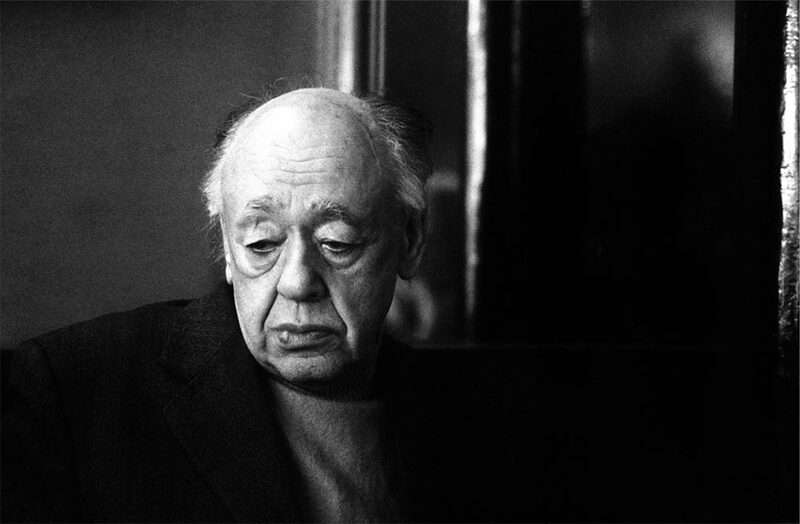 Ionesco taught me that the commonplace, when reconsidered and put to work in unexpectedly absurd ways, proved to be an effective tool for thinking about the world around us. SUNBURN! hits a similar note for me. The earnest, gleeful spin on tragedy and death tickles my absurdist funny bone. In the same way I love the absurdity of Ionesco’s The New Tenant and the way its characters matter-of-factly deal with a never-end stream of furniture over-filling their space. 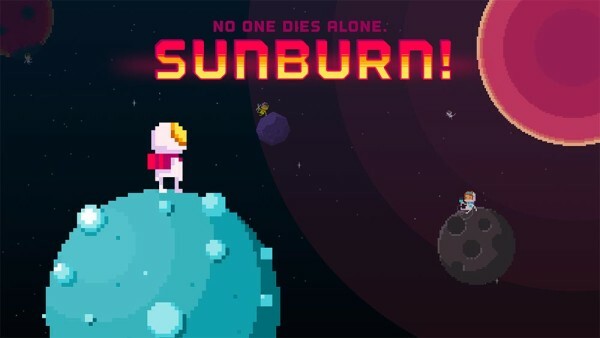 SUNBURN!’s captain and his crew likewise go about their business of carefully gathering together for one last leap into death. It is all at once sweet and stupid and cute and nihilistic. One of the best ways to deal with unpleasant things, at least for me, is keeping occupied with simple tasks. Like washing dishes, or knitting or playing a game. And that is exactly what you get to do inside SUNBURN!—keep yourself busy with upholding important promises at the cusp of death. The game does this well I think. There are four basic gestures to the game—tapping to move your character, double-pressing to propel them, spreading to zoom in to see details, and pinching to zoom out to see more of the planetary system. I find myself getting quickly absorbed in these actions. I’m barely thinking about the fact I’m collecting my people to send us all to our deaths as quickly and efficiently as I can. We then all go into the sun, and the game gleefully celebrates that I’ve killed everyone, or kindly chides me for having left someone behind. There’s a happiness in the apocalyptic vision of the game—in the cute graphics, the poppy color palette, the chirpy dialog. And a level of determination and stick-to-it-ness in the clever constraint-as-blood oath of “no one dies alone” at the core of the game. Everyone has an all for-one-one-for all attitude, even when left behind. And on the other side of death, after that act of abnegation driving the player character (which the other characters declaim, but don’t actively pursue, interestingly), the ghosts continue the peppy banter with comments about their afterlife. In a lot of reviews, this has been pointed out as naughty or darkly humorous, and I can see why people think that, but I think that sells the game short. It is like stopping at the wackiness of people with rhino heads and not getting to the real substance Ionesco was working over, or only gawking at the explosion in Kaleidoscope and not really taking in what Bradbury has to say. My read of the completion of a level—good or bad—is an underlying belief in humanity, not a “dude, that’s fucked up” sort knee jerk you might see on MTV’s Ridiculousness or on a 4chan board. There is darkness under the chippy veneer of SUNBURN!, if you want to find it. Within the game, something that always brings the direness of the pixel astronauts situation, and I suppose, of the fucked up world around us, are those moments when I lose my direction, or accidentally mis-aim and start drifting out into space. You quickly get out of sight of the planets, and are left drifting with a real sense of direction, nothing to anchor you or suggest which way to aim to insure contact with a planet. All that focus on the task at hand—joining up with your shipmates—disappears as you are out in the void, maybe tethered to a dog or cat, drifting off to nowhere. This sort of moment makes me think of In the Dust of this Planet — the first book in Eugene Thacker’s philosophical horror trilogy. Thacker looks at black metal, horror movies and other genre fair in order to tackle the existential ideas we traditionally associate with philosophy. In the process, he looks at the vastness of the world that is just over there, just on the other side of our efforts to remain preoccupied. Indeed, something is always just around the bend to remind us of our insignificance. One of the things Thacker pursues in In the Dust of this Planet is a meditation on the limits of philosophy—it can only get so far on its own. Part of Thacker’s argument is that part of what the genre horror provides is a place we can explore things beyond the limits of philosophy. Take Mary Shelley’s Frankenstein. It is a critique of enlightenment thinking, a meditation on the natural vs. the scientific, on the limits of human ability to create and control the world, of unintended consequences and so on. All told through a fable of an ambitious doctor and his monster in the scary woods. 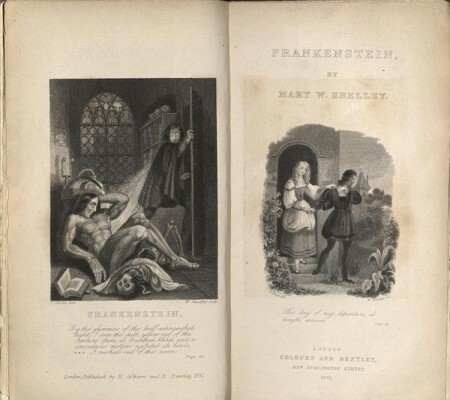 While Frankenstein isn’t necessarily in the required reading list of most philosophy programs, it is a great example of how genre can probe the human condition. Though it never dawned on me back in high school and college, I now realize Ionesco was an existential fellow traveler of Bradbury and Shelley. Both were probing around the edges of humanity or the beginnings of late capitalism through their creations. But where Bradbury had rockets and control panels and robots and science, Ionesco had the mundane and the everyday. Shelley uses fantastically morbid monsters made of body parts to explore the limits of science, Ionesco uses people turning into rhinos to think about conformity and fascism and shifting moral foundations. So sometimes we can turn to Hegel, sometimes to Shelley, or, if you believe me, Secret Crush, to probe the human condition. You could say, rightly, I’ve heaped a lot of high-falutin’ baggage on a simple physics puzzle game—and its true, I have. But the limits of what we as gamemakers think games can do is far more limited than what we usually give the medium credit for. If we look past mechanics and goals, and follow the trail of where games might lead a person to ponder—kind of like I’ve talked about here tonight—we can start seeing the real value of games. Yes, games are culture, but not just in the sense of creating or nestling into cultures. They are also Culture in the sense of an Ionesco play, or a Thacker book of critical philosophy, or, bringing us back down to earth, a Eugene Levy role in a Christopher Guest film. 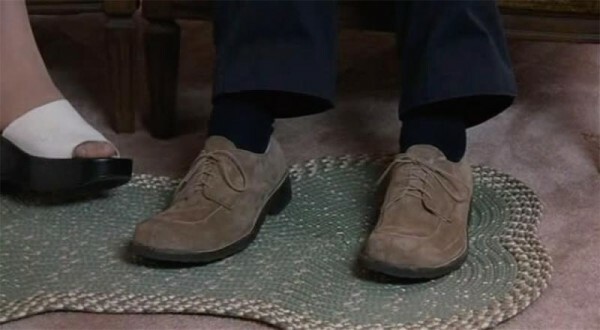 We could look at Levy’s character Gerry Fleck as a down on-his-luck, two-left-feet goofus who triumphs in a Revenge of the Nerds sort of way, because that is certainly there. We can also see him as a sweet fable—everyone has a purpose that eventually reveals itself, bravery in the face of chaos, and so on—packaged in a work of mocumentary genre fare. That’s also there. Inside of genre-bound works, we can have our fun and our smarts, all at once. That’s something that SUNBURN! reminds me of, and I appreciate that about the game. So thank you, Secret Crush. With anna’s upcoming exhibition, “the road to empathy” opening tonight at babycastles (which I interpret in part as a wake for dys4ia), it seemed like a good time to publish this essay. It is an in-progress excerpt from Fun, Taste & Games, a book I’ve been working on with David Thomas that we hope to release later this year. anna anthropy’s dys4ia, The Chinese Room’s Dear Esther and Zoe Quinn’s Depression Quest sit alongside a handful of other games that serve as exhibits in the trial-by-Twitter about what games are, can and should be. Much of the controversy relates to how the games are considered from the perspective of dominant ideas about game design. Particularly commercial games, the dominant presumption is that players have agency within the designed space of the game. This has become as central to evaluating games as the role of story is for film—films have stories, games have player agency. How a gamemaker chooses to engage with the elements of game design—player actions and goals, the space of possibility for player performance, the visual and sound elements, the writing and the story—these are all design decisions. So too is the choice to not use these elements. Indeed, acts of omission are far more important decisions in the creative process than those about what to include. In music, it is the space between notes, the choice of which instruments to use and those to set aside. In film, it includes the decisions around which moments in the characters’ lives should be explored, and which should be left out. In painting, it can be the decision to work abstractly instead of using color and line to represent the world. Expectations build up around mediums, and artists and audiences alike make assumptions about what ought to be part of works in a given medium. 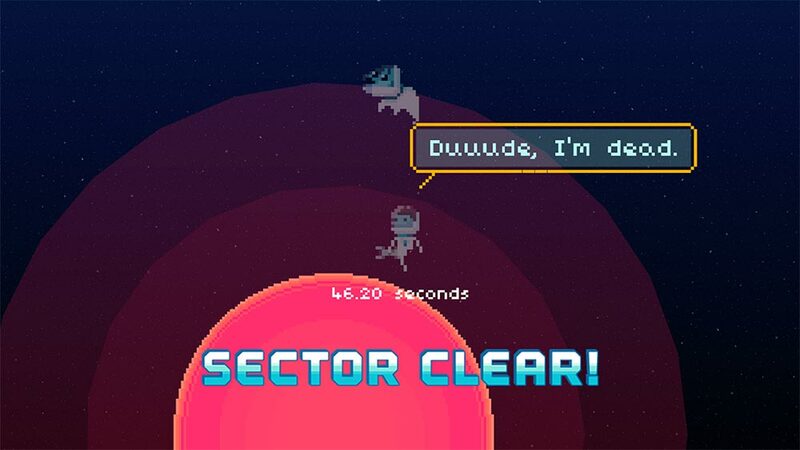 dys4ia stands as an example of a game that purposely resists and plays with our expectations. It is a game designer’s game; it belies a deep, intuitive understanding of the conventions of game design. It also plays with and breaks conventions to expressive ends. In an era when “game” stands in as another product category for disposable entertainment, dys4ia challenges assumptions. But in the context of personal work—Marjane Satrapi’s graphic novel Persopolis: The Story of a Childhood, Gob Squad’s experimental theater piece “Western Society” or Marina Abramović’s performance art piece The Artist is Present—the game also shows us a way games are like other expressive artforms. Like these works, the emphasis is place on authorial experience, not audience performance (even, as in the case of the Gob Squad and Abramović, there is audience participation). dys4ia is not limited by traditional ideas of gameness. dys4ia isn’t an attempt to make us understand anna’s experience, or to make us more empathetic. The game is a way for anna to make sense of a particular moment in her life, and perhaps to share it with others with similar experiences. The player is separated from the game in two ways: the intimate yet alien act of playing within another person’s experience, and through the distance of time. dys4ia is a work of ludic literature. It is a playable diary, as Paolo Pedercini and others have noted. Or, as anna probably puts it best, a game journal. Our role is not to play in order to make the moments our own, but to play so we can receive anna’s story. It is a story unfolded through play in the sense of mechanical engagement with an authorial intentionality we might align with poetry—most following poetry don’t view the works as “for them,” but rather created as an expression of the poet. To think of games as solely a space for player performance inside a design is to tragically limit games. dys4ia shows how an ever-present author is equally important. More than that, it is an ever-present author in a past moment. dys4ia explores anna’s experience before and during the game’s creation, in the same way a diary captures the time around its writing. The game’s space of mechanical possibility is narrow. This makes sense, as the game is about anna’s experiences after all, not the player’s. When we play dys4ia, we aren’t role-playing or engaging with a rhizomatic play machine, nor are we exploring an imaginary place and its inhabitants. The vignettes are shaped more like memories or dreams than anything else—distillations of meaningful life experiences. The game is composed of four chapters, each focused on a particular period during anna’s experience around hormone replacement therapy. The chapters contain a series of short entries or vignettes exploring a particular experience or feeling. The use of Warioware-esque mini-games to construct a series of ludic vignettes gives a flexibility within a structured whole. Within each vignette, anna could use the appropriate gesture while still letting it fit within the four-chapter structure. Sometimes, the vignettes reference games like Breakout or Ms. Pac-Man (or its many themed clones). Sometimes they borrow from matching games. The interactions performed by the player within each vignette illustrate a thought, an experience, a decision. One of the more striking appears three times, once at the beginning, once in the middle and once toward the end. In the first instance, the player is presented with a puzzle piece, and a wall through which it must pass. Using the arrow keys, we move the piece along. At first glance, the piece seems like it won’t quite fit, even though it is exactly the shape of the hole. Careful navigation allows the piece to enter the gap, bringing up the first passage of text, “I feel weird about my body.” The role of the player in anna’s story is made clear, as is anna’s state of mind about her body. In the same way a comic artist might use metaphor to visualize an idea, anna uses an interactive gesture to illustrate a moment in her experience. One of the things that first struck me about dys4ia was the clever dissonance between the graphics and the subject matter. The relationship between the visual style and anna’s story brings a poet’s sensibility to the game. The stylization of the people, places and objects brings clarity and focus, but also a particular feeling to the play experience. The same extends to the play itself. When we think of something as deeply personal and challenging as gender transitioning, bright, simple pixel graphics probably aren’t the first style that comes to mind. Lo-fi pixel graphics are more often associated with fluffy and ephemeral, not personal and painful. This stark contrast works well for the game, bringing clarity and force to anna’s conveyance of her experience. But it also speaks to the zinester community and its embrace of “craptastic” visuals and audio as a critique of craft and technology barriers keeping more people from making games. The language in the game is kept brief and to the point. It is there to underline the ideas more than present them. I say this because the images and interaction often make the idea, event or experience clear. The text’s display is often used to give more nuance to the vignette and to serve as feedback on the player’s actions. In the first chapter, one vignette presents the player with a silhouette of anna trying to put on a tight-fitting shirt. “Girly Clothes” appears at the top of the screen, providing context for the player action—repeatedly clicking the down arrow to pull on the shirt. After a number of clicks, “don’t fit” appears at the bottom of the screen, emphasizing the point, but also confirming the player’s experience. Listening to the song as a whole, lyrics and all, you can hear frustration and pain conveyed in a way that came natural to Laura Jane; she works from a place of artistically familiarity—guitar-driven punk-inflected rock. But unlike much of the band’s earlier music, there is a heartfelt, personal feel to the song. Laura Jane works through her experiences, feelings and desires, but doing so in the form she knows best. anthropy’s creation of dys4ia strikes me as similar in many ways—an artist working within a medium she knows well to share her experiences. One striking difference between these two works is how they operate within their given mediums. “Transgender Dysphoria Blues” as a song doesn’t depart from the style of Against Me! in any meaningful way beyond the lyrics. Being someone who doesn’t always pay close attention to lyrics, I’m not sure I even noticed the subject of the song at first. But with dys4ia, there is a reimagining of the form of games. anna composed from the materials of games—more often considered a form of entertainment—as a means of self-expression and exploration. In the process, she gave shape to something new: a game steeped in the history of games, but still unexpected in its use of the form. Transgender Dysphoria Blues did create some controversy, but it was largely accepted and people moved on. The form of pop-punk was not the controversial aspect, after all. That dys4ia created (and continues to create) a ruckus speaks to the limited conception of games that we operate under. dys4ia, Depression Quest and Dear Esther continue to serve as mile markers in the maturation of games as a medium—in their reception and the way we think about what games can be. For me, they are clear signs of the medium of videogames broadening, becoming more flexible and embracing. That these games receive so much scorn is a sign that they have hit a nerve well worth striking. This week, Games for Change 2015 is happening here in New York. Over the last five years, the event has grown, changed locations and generally become much more of a “thing” than it was in 2010. Serious games, games for change, educational games and the other names we have for such games have changed as well. There are more game developers involved, and a wider range of companies, research groups, philanthropies, NGOs and government agencies are involved in conceptualizing, producing and funding this sort of game. As a result, the overall quality of serious games has improved. The Road to Hell is Paved with Serious Games from John Sharp on Vimeo.